DANA POINT — The Dana Point City Council has approved new rules for its free offshore anchorage area off Doheny State Beach, placing a 72-hour time limit on vessels anchored there. The move comes in the wake of Newport Beach’s Corona del Mar anchorage regulations adopted in 2009, which pushed many of the liveaboards that had anchored out there for extended periods of time south, to Dana Point. With no regulations in place for anchoring outside Dana Point Harbor, boaters are using the area as a free anchorage for extended periods of time, with some boats staying for more than a year. The recent expansion of the 5 mph no-wake zone at the harbor entrance pushed the anchorage away from the breakwater and closer to the state beach. In February 2011, one of the vessels anchored off the beach broke free, ending up aground at Doheny. The owner was reportedly in Las Vegas at the time of the incident. 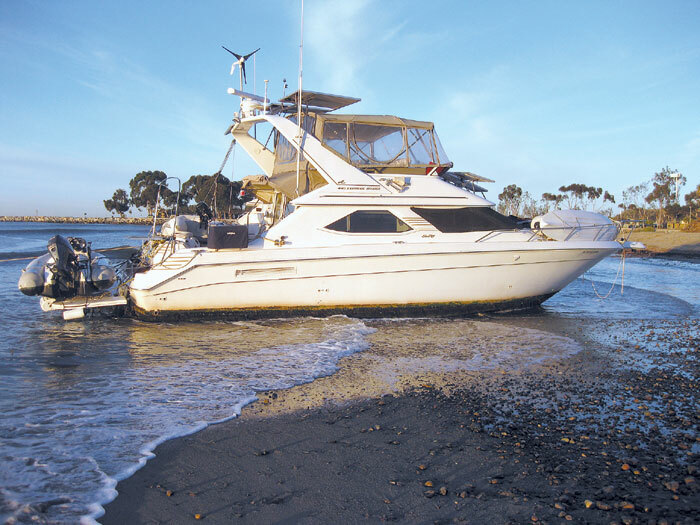 Under the new rules, the offshore anchorage would remain free, but a 72-hour time limit would be enforced by the Harbor Patrol for boats anchored within 1,000 yards of Dana Point beaches and the area outside the harbor. Boaters are allowed to spend three hours off their boat a day to make trips ashore, and they must allow Harbor Patrol officers to check their vessel’s holding tank valve closure by using a dye tablet. Lenthall said DPBA members agreed with the new regulations, as long as they didn’t infringe upon legitimate cruisers’ ability to anchor at Dana Point. He said the free anchorage area in Dana Point Harbor allows boats to stay for up to five days, so cruisers could spend three days outside the harbor, five inside, and another three back out before they would need to relocate. In addition, requests can be made to the Harbor Patrol to extend anchor-out time periods, if a vessel encounters bad weather or needs additional time to prepare for a trip. Each circumstance would be reviewed by the Harbor Patrol. Vessels found not complying with the new rules could be assessed fines leading to impounding, in worst-case scenarios. “Sooooo…what we are going to do is just screw those ten people over because we own and control the ocean, too.” This is why I have ZERO respect for any low life willing to work for the government. These people make me sick with all their control freak b.s. and despicable, scuzzy behavior.